The SIENA INTERNATIONAL MUSIC PROGRAM is a distinctive solo instrument, voice, and chamber music intensive study abroad program. It seeks to prepare the young musician to take on a transformative, challenging role as an artist in the 21st century. In Summer 2019, an advanced level composition course will be held during the second half of the program. Following a successful partnership in Summer 2018, the 2019 SUMMER PROGRAM, will be run in collaboration with the ACCADEMIA MUSICALE CHIGIANA in SIENA, as part of the C-GAP (Chigiana Global Academy Program). Participants will have private lessons and coachings every week with a member of our International Faculty, opportunities to attend masterclasses with visiting artists, regular performances in Siena, Cremona and other exceptional locations in Italy, and an enriching cultural experience abroad. Over the last five centuries, generations of students, scholars, and artists have been inspired by the Italian Renaissance. Examining artistic entrepreneurship from both historical and current perspectives will empower and inspire students, thus preparing them to take on a transformative, challenging role as artists in the 21st Century. The Programs are open to all students from any university. Faculty will be added according to accepted instruments. Apply on the Chigiana webpage! All courses will be taught in English by local and visiting faculty/artists. Weekly private lessons, rehearsals and coaching in solo instrument and chamber music, master classes led by international faculty and guest artists. Concerts in Florence and other Italian cities provide an intense, formative experience for promising, young musicians. Classroom sessions in Music History (Music in Renaissance Italy) will be enhanced by visits to museums and libraries both in Siena, Florence, and the surrounding areas. An efficient Italian language course for beginners to advanced students especially designed for the musician. Classroom sessions in Art History (Sienese school and Renaissance) will be enhanced by visits to museums in Siena and Florence. All courses are held Monday-Thursday, and most weekends will be free of program commitments. Sign up with your email address to receive news and updates on the Siena International Music Program. The Florentia Consort Organization is a Non-Profit Cultural Association founded in 2014, and based in Florence, Italy. Our vision is to prepare the young musician to take on a transformative, challenging role as an artist in the 21st Century with new experiences on the international stage. 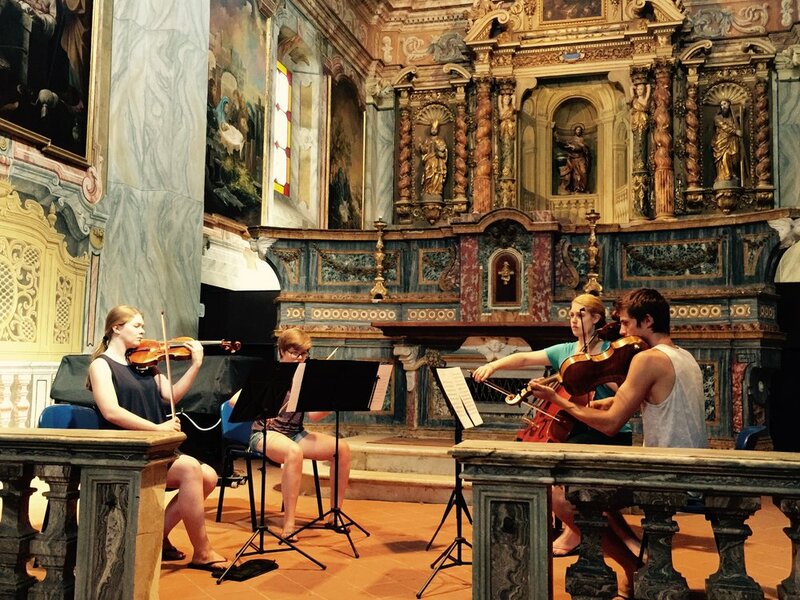 This mission propelled the founders to launch the Renaissance in the XXI Century - Study Abroad Program for musicians in collaboration with the University of Colorado, Boulder, and held in Florence from 2012 to 2017. Florentia Consort is also committed to enriching the lives of the community of Florence, Italy, Tuscany, and regions throughout Europe with educational performances and experiences such as Children’s concerts, Workshops, and Master classes. We create opportunities for young musicians to experience formative training and performances in an international setting.